http://newgrowthpath.eu/wp-content/uploads/2017/07/GCF_Logo_line-1-300x73.png 0 0 Jette von Postel http://newgrowthpath.eu/wp-content/uploads/2017/07/GCF_Logo_line-1-300x73.png Jette von Postel2014-09-22 15:39:362017-12-21 16:31:57Don‘t save, educate! Climate change threatens to cause trillions in damage to world’s coasts, if coastal regions do not adapt to sea-level rise. http://newgrowthpath.eu/wp-content/uploads/2017/07/GCF_Logo_line-1-300x73.png 0 0 Jette von Postel http://newgrowthpath.eu/wp-content/uploads/2017/07/GCF_Logo_line-1-300x73.png Jette von Postel2014-02-04 15:21:392017-12-21 15:23:23Climate change threatens to cause trillions in damage to world's coasts, if coastal regions do not adapt to sea-level rise. 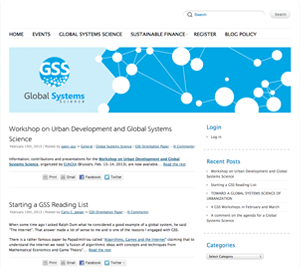 Our blog on Global Systems Science is online. The ECF-Transport Group met with occasion of the European Mobility Week 2010 in Bergen. The goal of the meeting was to set up a work plan to go ahead with the transport strategy agreed last June at the Bybanen Conference. The ECF-TG met at the City Council representatives of the Bergen mobility sector, among other groups of interest. Bergen’s first light rail system was inaugurated on June 22nd by Queen Sonja of Norway, following a two-day conference with over 80 representatives from the private and public sector. The ECF-Transport Group, represented by the environmental researcher Aida Abdulah, talked about the challenges of sustainable mobility for Bergen and introduced the ECF-TG new project on stakeholder dialogs on transport. Lagom generic is an agent based model for representing economic systems – the economy of Germany, the Mediterranean Region, the world – over a time horizon of one to several decades. 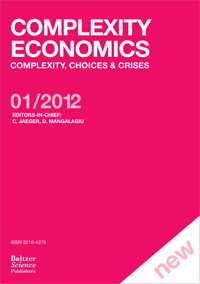 The ECF Working Paper 1/2009 is based on the model. The improved version 2.0, can be downloaded now here. Berlin, October 26, 2009; 11 a.m.